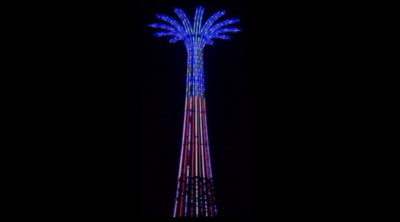 Coney Island's Landmark Parachute Jump's New Illuminations. Handball is the ultimate city game. Played at the highest level, it can be both beautiful and brutal -- one player describes it as 'like boxing, except with a ball.' 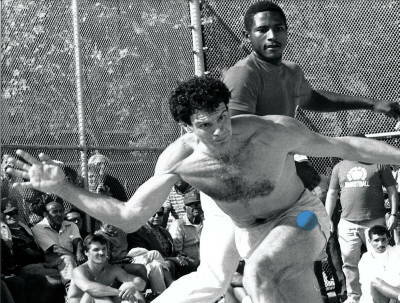 For more than 50 years, the National One Wall Handball Championship has been played at the Seaside Courts in Coney Island. One Wall follows the most talented athletes you've never heard of as they vie for the coveted title in 2011, from Tyree Bastidas, the young, handsome reigning champ, to handball legend Joe Durso, the player everyone loves to hate. The fight for immortality in an obscure sport makes for compelling drama, while the shtick on and off the court (this is Brooklyn, after all) makes for great comedy -- it's material David Mamet or Woody Allen would be only too happy to lift.